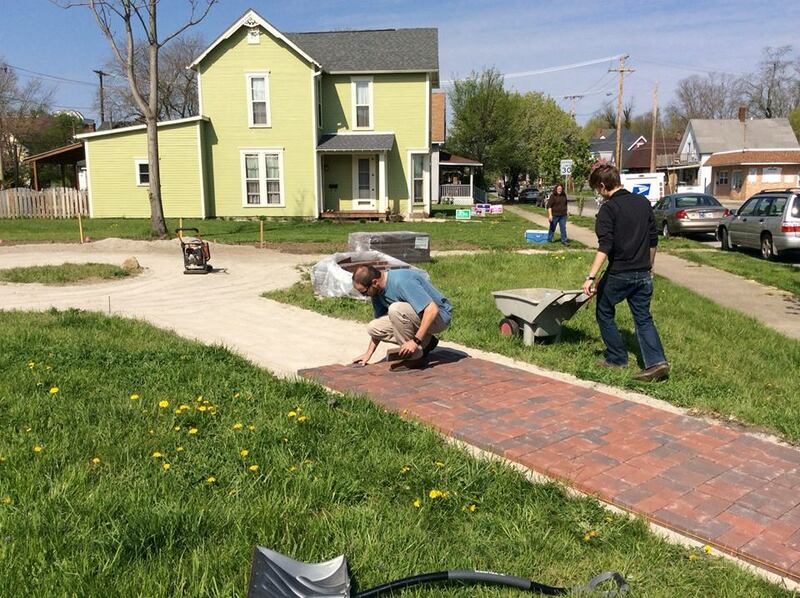 This past weekend, we installed pavers at the new park at the corner of Cherry and Main. The Old West End Neighborhood Association voted to officially name it “Community Circle.” We will hold another work day on May 16th, starting at 1:30 pm. We intend to finish putting pavers down in the circle and begin planting. This entry was posted in applied anthropology and tagged applied anthropology, Community Circle, Old West End, urban gardening, urban renewal by nckawa. Bookmark the permalink.